Dan earned his B.S. Degree in Education from Morningside College. In addition to teaching experience, he has a varied background in sales and marketing in a variety of areas, including retail as well as media sales. 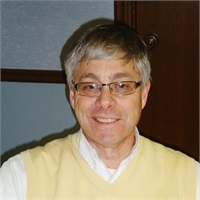 Dan earned his Series 7 Securities license in 1996 and is licensed in Life and Health insurance as well. He further earned his Series 65 license in 2007. Dan and his wife Lynn live in Webster City, Iowa and are active in many civic and church activities. They have three grown children, and three grandchildren. In their free time, Dan and Lynn enjoy riding bicycles on the many beautiful bike trails in Iowa and our neighboring states.